Franklin’s image stands today as the first political cartoon to ever appear in a newspaper. 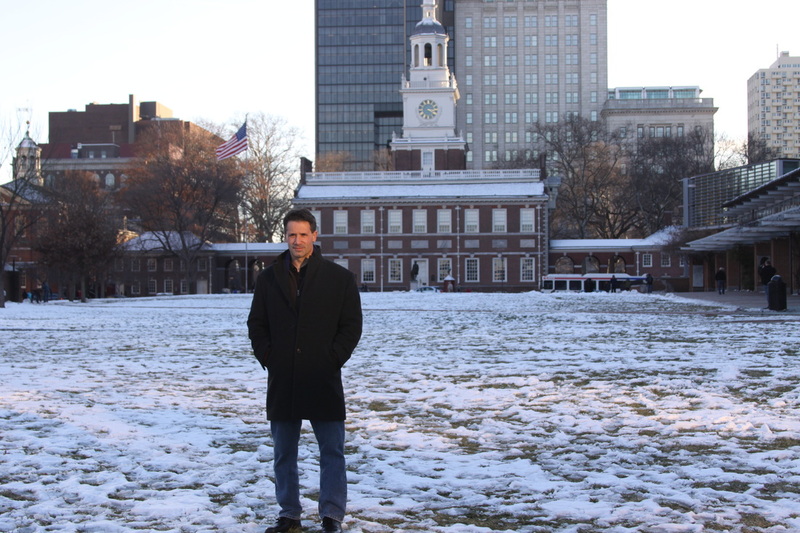 It graced The Pennsylvania Gazette (Franklin’s newspaper) in 1754. During this period Great Britain was engaged in the French and Indian War and Franklin was very concerned about the security of the British colonies because they were not united. Each colony was moving in a different direction and this served as a call for unity. Franklin created the original image as a wooden carving and had it distributed to newspapers across the colonies. 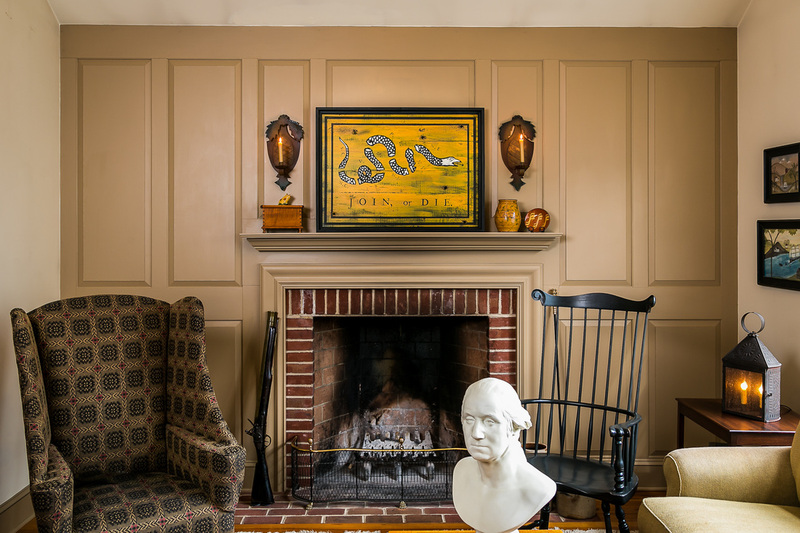 He chose a timber rattle snake (which can only be found in North America) as an illustrative symbol for the colonies. 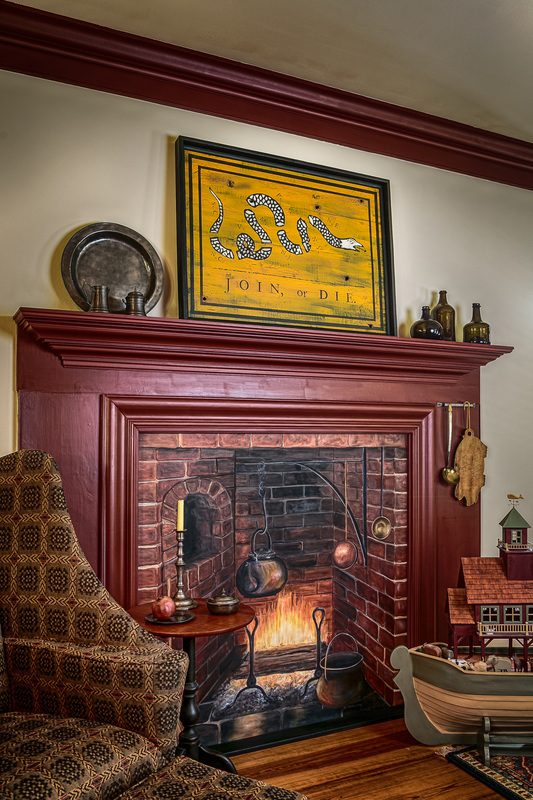 Franklin believed it represented the American spirit...the rattle snake has a deadly bite and will only attack if provoked. The snake is divided into sections which represent the thirteen colonies. 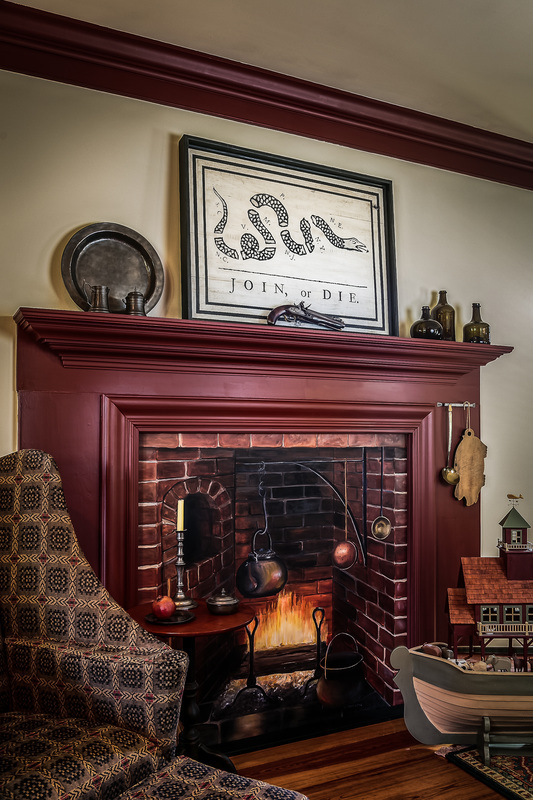 He chose to depict a severed snake to simulate death to the serpent and to the colonies as well if they chose to stay divided. The snake winds to depict the eastern seaboard of the United States. In addition, Franklin chose a cut snake to stress that we have a small window of opportunity to unite. This thought was born from the superstition which stated, if a snake is cut and buried before dusk it could survive and rejoin itself. 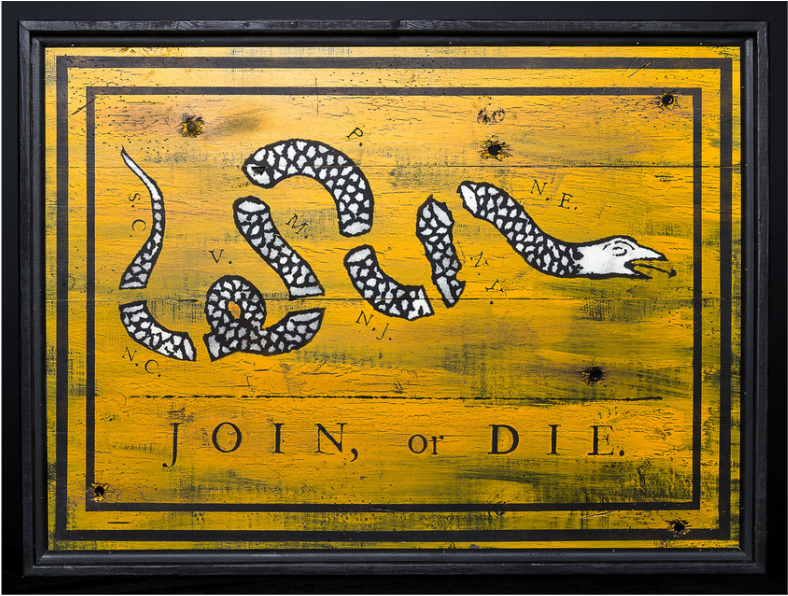 Franklin would utilize his “Join, or Die” image to promote union with the British prior to the Revolutionary War. 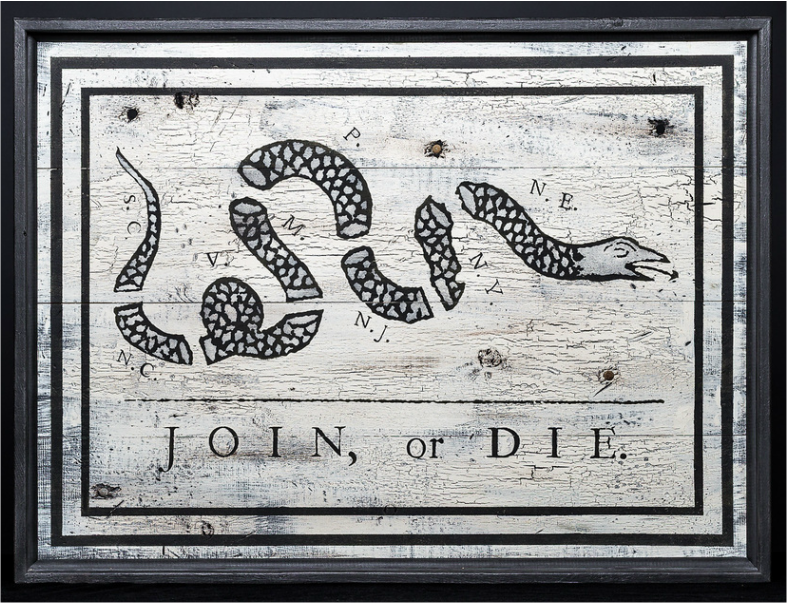 The slogan was adopted by patriots as a battle cry to rally against the British. Soon after the passing of the Stamp Act in 1765, the image was used to advocate for independence and would regularly be seen posted on trees, windows, on flags, and newspapers. It later resurfaced in both the north and the south during the Civil War and has managed to re-emerge recently as the country finds itself divided again.